At the 2012 AWWA conference in Dallas, Gary Skrotch, a water operator from Arcadia, WI won 3rd place in the national “Best of the Best” Water Taste Test! Gary became eligible last September after winning 1st place in Wisconsin’s taste test. 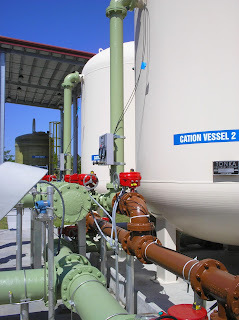 The Arcadia water treatment plant was constructed in 2007, finished in 2008 and included one of Tonka’s horizontal pressure filter and a forced draft aerator which worked together to remove iron and manganese. After great results, Arcadia’s water plant now has the award to prove it.